Melanoma is a malignant neoplasm of melanocytic origin. It is one of the most biologically unpredictable and deadly of all human neoplasms, and the most common forms of melanoma are the cutaneous and the ocular. It is the third most common cancer of the skin. Oral mucosal melanoma is a rare malignancy with the tendency to metastasize and locally invade tissues more readily than other malignant tumors of the oral cavity. Oral malignant melanoma was first described by Weber in 1859., Later, it was named as “melanotic sarcoma” by Lucke in 1869. The World Health Organization has defined mucosal malignant melanoma as a malignant neoplasm of melanocytes or of melanocyte precursors. Mucosal melanoma involving the sinonasal cavity, oral cavity, pharynx, larynx, and upper esophagus is extremely rare and accounts for only 0.5% of all oral neoplasms. Nearly 80% of oral melanomas (OMs) arise in the mucosa of the upper arch, with the majority occurring on keratinizing mucosa of the palate and alveolar gingivae., It occurs between 30 and 90 years of age, with a higher incidence in the sixth decade with a mean age of 56 years. It is having a higher prevalence in yellows, blacks, Japanese, and Indians of Asia due to more frequent finding of melanin pigmentation in oral mucosa of these races. 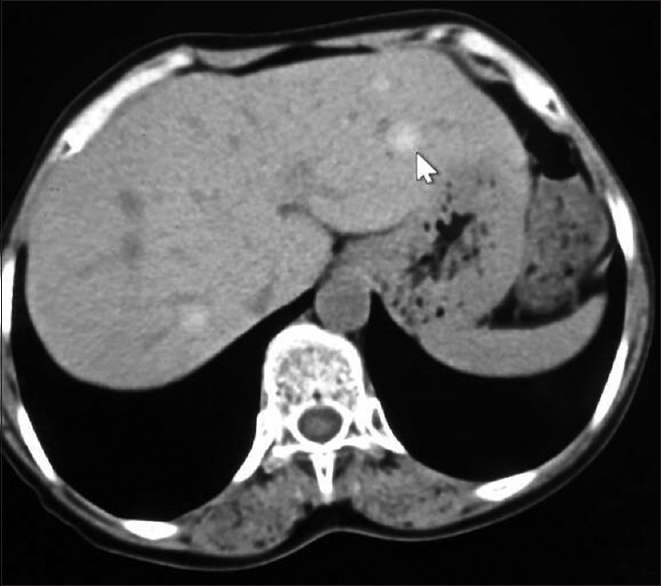 The delayed detection may be the cause for the poor prognosis, with a 5-year survival being between 15% and 38%., This case report is of a mucosal melanoma of the maxillary gingiva with distant metastasis to the liver and lung which has been discussed with detailed radiological investigations including contrast-enhanced computed tomography (CECT) and histopathology to emphasize the necessity for early diagnosis and treatment of this lesion. A 57-year-old woman reported to our department with a chief complaint of pain in the upper back teeth for the past 1 year; the patient was asymptomatic 1 year back after which she developed pain in relation to the left upper posterior teeth, and she also noticed a black-colored swelling in relation to the left maxilla which progressively increased to the present size, but she did not give any attention for the same. For the past 6 months, there was a rapid increase in the size of the swelling, and the intensity of pain also increased. The patient also gave a history of difficulty in swallowing, speaking, and taking food, and there was no history of nasal stuffiness, nasal discharge, and epistaxis. The patient had been treated with radiotherapy for cervical cancer 17 years back; there is no relevant dental history. She is married and has three children. There is no history of any harmful habits. On general examination, she was thin built and moderately nourished and the vital signs appeared to be within normal limits. Lymph node examination revealed an enlargement of both the right and left submandibular lymph nodes measuring around 1 cm in size and were firm, tender, mobile, and multiple in number. On intraoral examination, a diffuse blackish exophytic pigmented growth was present in the left maxillary gingiva measuring around 4 cm × 4 cm in size approximately extending from distal aspect of 24 till the maxillary tuberosity, extending to palatal gingiva [Figure 1]. The growth was sessile with rough surface and irregular borders, and there was a mild evidence of necrotic slough. On palpation, all inspectory findings confirmed that the growth was firm to hard in consistency and severely tender with indurated margins, and there was no discharge. The teeth in the vicinity of swelling were Grade 2 mobile and depressible into their socket. On the basis of history and clinical findings, a provisional diagnosis of malignant melanoma in the left side of the maxillary gingiva was given. Blood investigations revealed a slight increase in the eosinophil count, and other parameters were within normal limit. Thermal vitality test was performed, and the teeth 26, 27, and 28 were found to be nonvital. Maxillary lateral occlusal radiograph revealed radiolucency in the left side of the maxilla extending posteriorly to the distal aspect of 28 with displacement of 27 and 28 [Figure 2]. Orthopantomogram reveals ill-defined noncorticated radiolucency extending from distal aspect of 26 till the tuberosity. 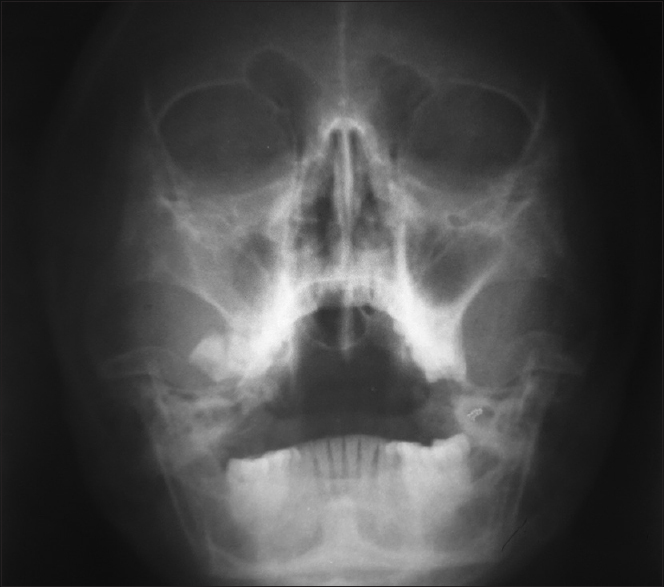 A breach in the continuity of the floor of the maxillary sinus was evident with complete loss of crown in relation to 28 and bone surrounding the 27 and 28 giving a tooth-floating appearance [Figure 3]. Paranasal sinus view revealed haziness in relation to the left maxillary sinus when compared to contralateral side [Figure 4]. CT scan of the head and neck showed a hypodense mass in the left maxillary alveolus extending to the surrounding area with complete destruction of bone in the molar area [Figure 5]. Enlarged enhancing bilateral Level I, II lymph nodes were also seen. CECT of thorax [Figure 6] and abdomen [Figure 7] showed multiple scattered ground glass nodules of varying sizes in bilateral lung fields, with feeding vessel sign impression of lung metastasis, multiple scatters hyperdense lesions in both the lobes of liver postcontrast portal phase lesions appeared iso attenuating and masked with surrounding parenchyme suggestive of liver metastasis. Thoracolumbar spine and pelvis showed osteopenia. An incisional biopsy was performed under local anesthesia, and the lesional tissue was sent for histopathologic examination. The malignant cells were in nest or cluster and in groups in an organoid fashion. The malignant epithelioid melanocytes showed vesicular nuclei with prominent nucleoli, nuclear pleomorphism, hyperchromatism, and loss of cohesiveness of the cells, confirming the diagnosis of malignant melanoma. Based on the clinical examination and radiologic and histopathologic features, a final diagnosis of malignant melanoma of the maxillary alveolar gingiva with distant metastasis to the lung and liver was arrived. Medical information was provided to the patient and his family regarding the diagnosis, staging, therapeutic options, and prognosis. The patient was referred to the regional cancer center for further management. OM is a rare malignant disease, which represents only 2%–8% of all melanomas. This tumor is of melanocytic origin. Melanocytes are the neural crest-derived cells that are present within the basal cell layer of the skin and mucous membrane. OM is thought to arise either de novo from melanocytes or from the preexisting oral pigmentations., The cytogenetic alteration acquired within the oncogenes, tumor suppressor genes, and DNA repair genes of the melanocytes is said to play a role in the etiopathogenesis of melanoma. The inadequate regulation of biosynthesis of melanin by the melanocytes leads to increased oxidative stress and metabolic by-products that cause DNA damage in the affected melanocytes and thus favor cancer initiation and progression. Epidemiological studies suggest that incidence is increasing in patients, especially males older than 45 years, but melanoma most commonly occurs in women of childbearing age, and the youngest case reported to date involved an 8-month-old African-American girl with sinonasal melanoma. Clinically, mucosal melanomamay present as a painless, dark brown or black colored, macular or nodular growth. The ABCDE rule of melanomas is followed where A stands for asymmetry; B is for borders that show irregular blurred, notched, or ragged edges; C is for color, usually nonuniform, pigmentation varies from brown, black, tan, red, white, or blue; D stands for diameter of lesion that is usually >6 mm; and E is for elevation or a raised surface., Clinical symptoms vary from swelling, pigmented growth, bleeding, pain unhealed extracted socket, and mobility of teeth. Clinically OMs are classified into five types, i.e., pigmented nodular, nonpigmented nodular, pigmented macular, pigmented mixed, and nonpigmented mixed. In the present case, an undiagnosed macular blackish pigmentation preceding the development of the malignant melanoma and the late diagnosis with evidence of distant metastasis led to poor prognosis. Hence, early detection and treatment is essential for better prognosis in the case of malignant melanoma and the need for clinicians to meticulously examine the oral cavity and make a careful observation. Follow-up of any pigmented lesion is mandatory. Pour MS. Malignant melanoma of oral cavity. J Dent 2007;4:44-51. Ullah H, Vahiker S, Singh M, Baig M. Primary malignant mucosal melanoma of the oral cavity: A case report. Egypt J Ear Nose Throat Allied Sci 2010;11:48-50. Elneel Ahmed MA, Karrar MA, El-Siddig AA, Zulfu A. Case report oral malignant melanoma: A rare case with unusual clinical presentation. Pan Afr Med J 2015;1–5:86-8. Cockerell CJ. The pathology of melanoma. Dermatol Clin 2012;30:445-68. Gu GM, Epstein JB, Morton TH Jr. Intraoral melanoma: Long-term follow-up and implication for dental clinicians. A case report and literature review. Oral Surg Oral Med Oral Pathol Oral Radiol Endod 2003;96:404-13. Delgado Azañero WA, Mosqueda Taylor A. A practical method for clinical diagnosis of oral mucosal melanomas. Med Oral 2003;8:348-52. Green TL, Greenspan D, Hansen LS. Oral melanoma report of a case. J Am Dent Assoc 1986;113:627-9. Twyana R, Hong Z. Malignant melanoma in the oral cavity: A rare case report with review of literature. 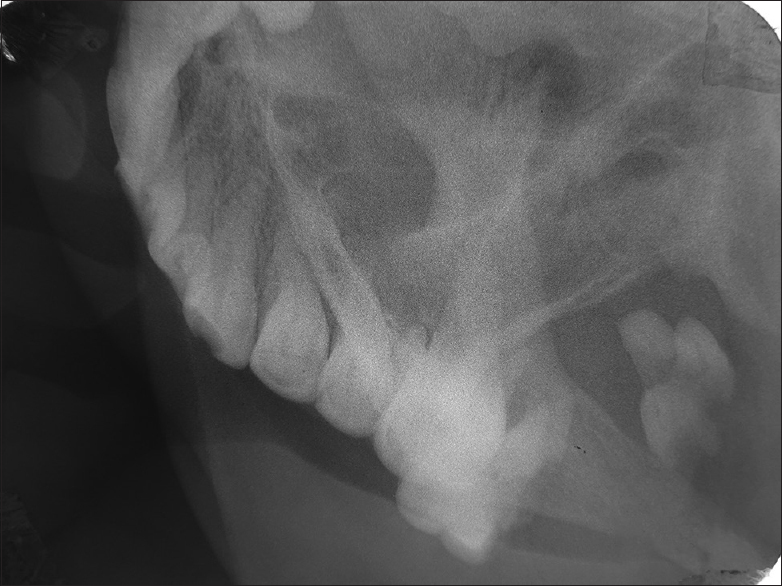 J Nepal Dent Assoc 2015;15:52-8. Pai A, Prasad S, Patil BA, Dyasanoor S, Hedge S. Oral pigmentation: Case report and review of malignant melanoma with flow charts for diagnosis and treatment. Gen Dent 2012;60:410-6. Hendzel OW, Słowińska M, Olszewska M, Rudnicka L. Melanoma of the oral cavity: Pathogenesis, dermoscopy, clinical features, staging and management pathogenesis epidemiology. J Dermatol Case Rep 2014;3:60-9. Ravid JM, Esteve JA. 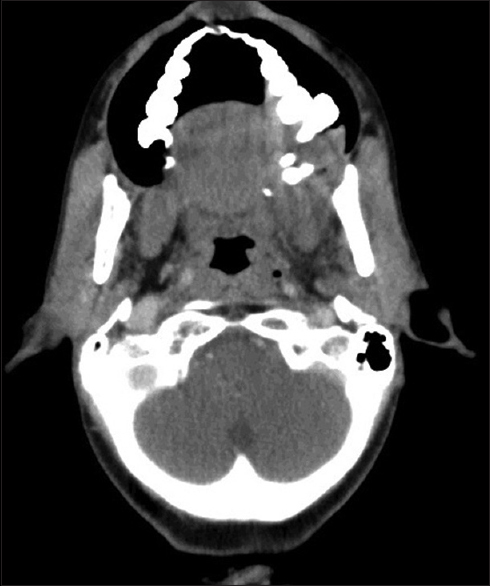 Malignant melanoma of the nose and paranasal sinus, juvenile melanoma of the nose. Arch Otolaryngol 1960;72:431-44. Biradar V, Latturiya R, Biradar S, de Nascimento JS, Taylor AM, de Almeida OP, et al. J Clinic Exp Pathology 2014;4:1000197. Rani GS, Kumar TV, Kolasani B, Begum MR, Priya Srinivasan A. Case report primary malignant melanoma of maxilla: Report of a case with discussion. Case Rep Dent 2014;2014:624306. Tanaka N, Amagasa T, Iwaki H, Shioda S, Takeda M, Ohashi K, et al. Oral malignant melanoma in Japan. Oral Surg Oral Med Oral Pathol 1994;1:81-90. Khalifa H, Abdullah S, Sallam K, Khalil H, Moneim IA, Elaffandi A, et al. Primary malignant melanoma of the tongue. Can J Surg 2009;52:E309-11. Lopez-Graniel CM, Ocholo-Carrillo FJ. Malignant melanoma of the oral cavity diagnosis and treatment experience in Mexican population. Oral Oncol 1999;35:425-30. Hicks MJ, Flatiz CM. Oral mucosal melanoma epidemiology and pathobiology. Oral Oncol 2000;36:152-69. Umeda M, Shimada K. Primary malignant melanoma of oral cavity its biological classification and treatment. Br J Oral Maxillofac Surg 1994;32:39-47. Shibuya H, Takeda M, Matsumoto S, Hoshina M, Suzuki S, Takagi M, et al. The efficacy of radiation therapy for a malignant melanoma in the mucosa of the upper jaw: An analytic study. Int J Radiat Oncol Biol Phys 1993;25:35-9. Nascimento JS, Taylor AM, Paes de Almeida O, de Andrade BA. Primary oral melanoma: A case report with immunohistochemical findings. 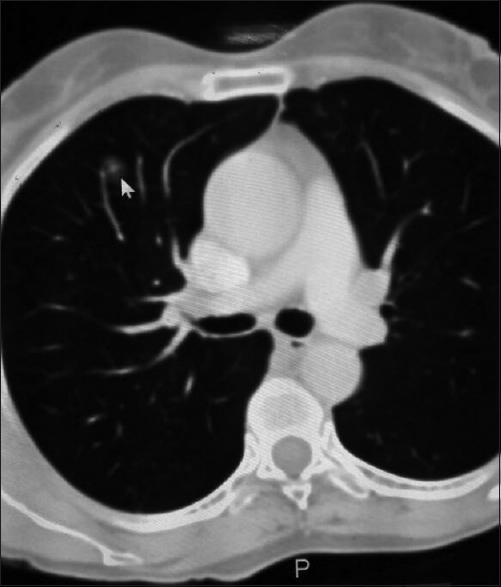 J Clin Exp Pathol 2014;4:6-8. Biradar PM, Latturiya R, Biradar S. Late diagnosis of oral mucosal melanoma: Case report. J Dent Allied Sci 2012;1:85-7.